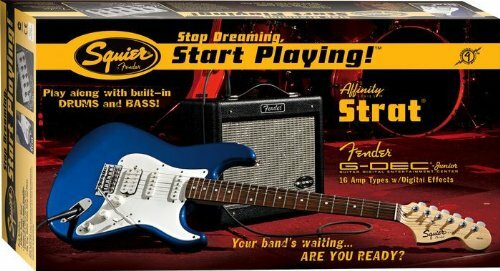 These packages include various accessories such as the amplifier, cable, gig bag, strap, picks, tuner all in one big affordable box. Usually, the guitars included in these packages last the student for a couple of years. Some of my students still have their first guitar from a package 5 years later. Since so many accessories are included the only ones I can think to mention are a metronome like the Matrix MR-500 and the method books for reading music: Mel Bay’s Modern Guitar Method Grade 1 (for students with prior reading experience) Hal Leonard Guitar Method 1 or Alfred’s Basic Guitar Method 1. Medium picks are the best gauge with the proper flex. Be sure you check through the picks that come with the package sometimes they include a assortment of thin medium & heavy picks. In my online guitar lessons archives you will find cool tunes and a important lesson titled “Natural Notes Guitar”. This lesson will walk you through the natural notes on the guitar in standard notation with a corresponding video file. Webcam guitar lessons are a great way to learn! Please contact me to schedule your free Skype electric guitar lesson today.